Scheffel’s Toys #3 | Historic Jacksonville, Inc. The 1874 Jacksonville brick building at the corner of California and Oregon streets that houses Scheffel’s Toys is historically known as the Fisher Brothers Store, but one of its longest tenants was the Marble Corner Saloon also known as the Marble Arch Saloon. The saloon occupied the building from around 1890 to 1934. 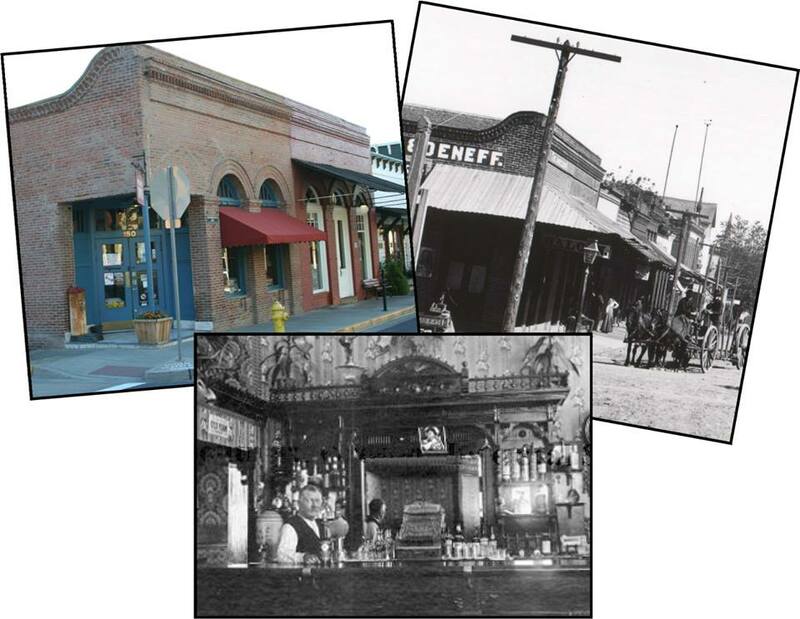 The saloon was presumably named after the Jacksonville Marble Works which relocated to the corner directly across North Oregon after the fire of 1888…or because the saloon’s recessed entryway was tiled with marble at roughly the same time. The 1912 SOHS photo #1978.63.53 shows Ed Dunnington behind the Marble Saloon bar.